When it comes to the election of political officials, the landscape can quickly get cluttered. Everywhere you look, the horizon is filled with lawn signs, banners and little, branded balloons for the kids. However, New Jersey Councilman Keith Loughlin discovered that taking to the sky gives a distinct advantage when trying to get your name out to the masses. Sure, small balloons were on hand when he and his team made public appearances, but that wasn’t all. 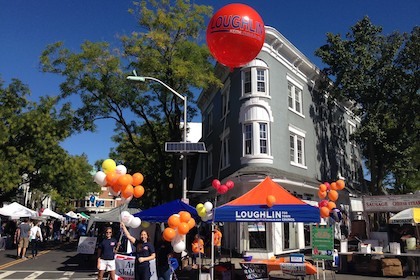 The Loughlin Campaign drew attention to their tent using a giant helium sphere. If you’re seeking election to an office, thinking out of the box might just get you there. Give us a shout to discuss helium spheres and other shapes that can set you apart.